Straight from the innovators at Design Engineering, Inc., Under Hood Thermal Acoustic Lining greatly reduces heat and noise generated in the automotive engine compartments of today’s modern modified vehicles. 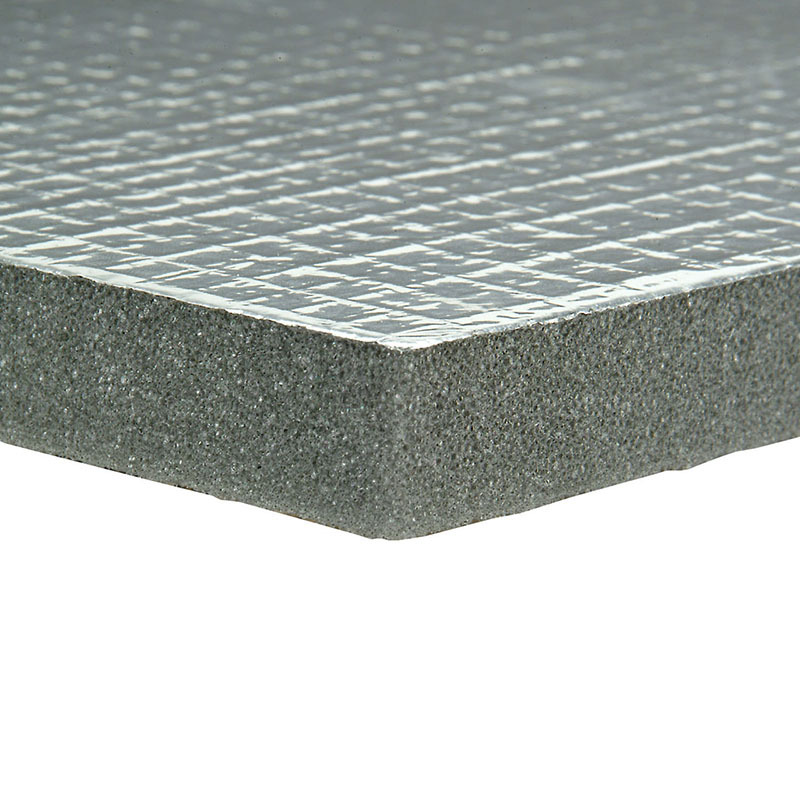 Installing via a simple peel-and-stick 5 ml acrylic adhesive that produces a permanent bond, the 3/4” thick, marine-grade acoustical foam is reinforced with a reflective aluminum skin. This material not only insulates the underside of the hood, but it also protects your vehicle’s paint finish. In addition, DEI’s Under Hood Thermal Acoustic Lining can be used as a noise-control solution on generator boxes, industrial HVAC scenarios, and similar applications. Insulate from heat while reducing noise and vibration. Peel-and-stick self-adhesive creates a permanent bond. 3/4” thick and 32” x 54” (12 sq. ft.). Temp range: -45° F to 275° F.